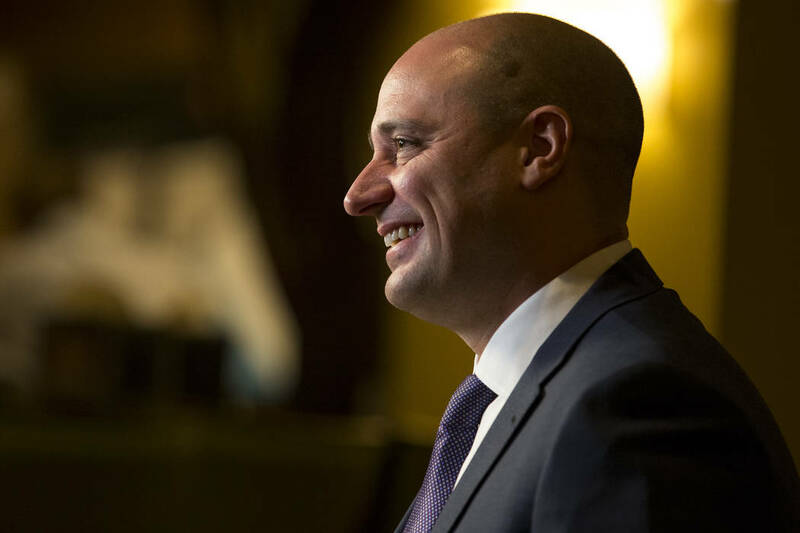 Newly appointed Wynn Resorts CEO Matt Maddox told hundreds of Wynn Las Vegas employees Monday the company will continue efforts to build its Paradise Park and Wynn West projects on the Strip as well as complete Wynn Boston Harbor in Massachusetts and build more hotel rooms in Macau. 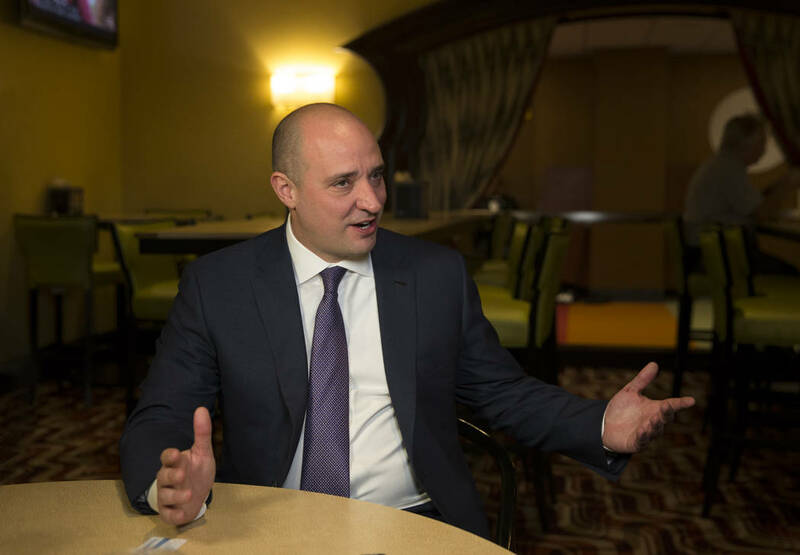 Newly appointed Wynn Resorts CEO Matt Maddox told hundreds of employees Monday the company will move forward with plans to build Paradise Park and Wynn West on the Strip, complete Wynn Boston Harbor in Massachusetts and build more hotel rooms in Macau. He also indicated he doesn’t expect a corporate name change as a result of the allegations made against co-founder Steve Wynn. Maddox was named CEO on Feb. 6 after Wynn resigned following news reports that he had sexually harassed employees for decades. In his first interview since taking the helm, Maddox, 42, said he assured employees in town hall-style meetings that the company’s future is bright and that the creative team behind the development of The Mirage, Treasure Island, Bellagio and Wynn Las Vegas would continue on projects announced by the company in January before the allegations became public. Wynn strongly denies the allegations that led to his resignation as CEO and chairman of the board of directors, saying they were orchestrated by his former wife, Elaine Wynn. She has denied doing so. With the company facing three lawsuits, its board of directors conducting an internal investigation and regulatory agencies in Nevada, Massachusetts and Macau conducting their own probes, Maddox declined to address inquiries specifically related to Steve Wynn. The meetings with employees were designed to give them an opportunity to better know Maddox and his ideas for the company’s future. He announced a new policy that will pay employees for time they take off for company-sponsored community enrichment programs. He also pledged to take strides toward the company leading the nation in gender-equality issues. Maddox also promised to be an advocate for social change. That change will start with town hall meetings and evolve into action. Currently, there is one woman on the nine-person Wynn Resorts board of directors. The changes include an immediate shift in the company’s parental leave policy. Maddox said effective immediately, employees will get six weeks of paid parental leave when a child is born in an employee’s family. Though Maddox would not answer specific questions about the allegations, he said he would step up when called upon by regulators. “The board and the regulators are beginning their investigations and I’m sure I’ll be interviewed as a part of that, and I’ll need to provide any and all information that I would have,” he said. In the talk, Maddox emphasized the strength of the Wynn name. “The reason I’m talking to all the employees now and reminding them that we are Wynn is because my thoughts are that our brand stands for excellence, high quality and service and all 25,000 of us (Wynn employees) are proud of that,” he said. As for the future in Las Vegas, Maddox said construction already has begun on a 400,000-square-foot convention facility adjacent to a planned lagoon, a project currently known as Paradise Park, and the company has already begun booking conventions there for when the facility is completed, likely in two years. He said development of the so-called Wynn West project, on 38 acres across Las Vegas Boulevard from the Wynn Las Vegas, “is still in the top of the first inning,” and design for a planned hotel tower trails behind the Paradise Park plans. But Maddox said adding that acreage — a transaction he engineered — would double Wynn’s Southern Nevada presence in 10 years. He said he is confident the Wynn design team will continue to flourish, even without Steve Wynn, because it still includes architects Roger Thomas and DuRuyter Butler, who were a part of the teams that developed The Mirage, Treasure Island, Bellagio and Wynn Las Vegas. “It’ll have 671 rooms, 13 food-and-beverage outlets, the largest ballroom in the Boston metroplex area and it’s opening in June ’19,” he said. Maddox said several Southern Nevada Wynn employees with East Coast roots are considering transferring to that property. In Macau, the company owns two parcels totaling 11 acres near the Wynn Palace property that opened in 2016. “We’re in full design mode there to present to the government a plan for additional hotel rooms, suites and some really exciting new entertainment, food and beverage concepts,” he said. A full-time design group has been dedicated to Macau, led by Chris Gordon, a 20-year lecturer from the Massachusetts Institute of Technology Center for Real Estate and one of the Boston Harbor design leaders. 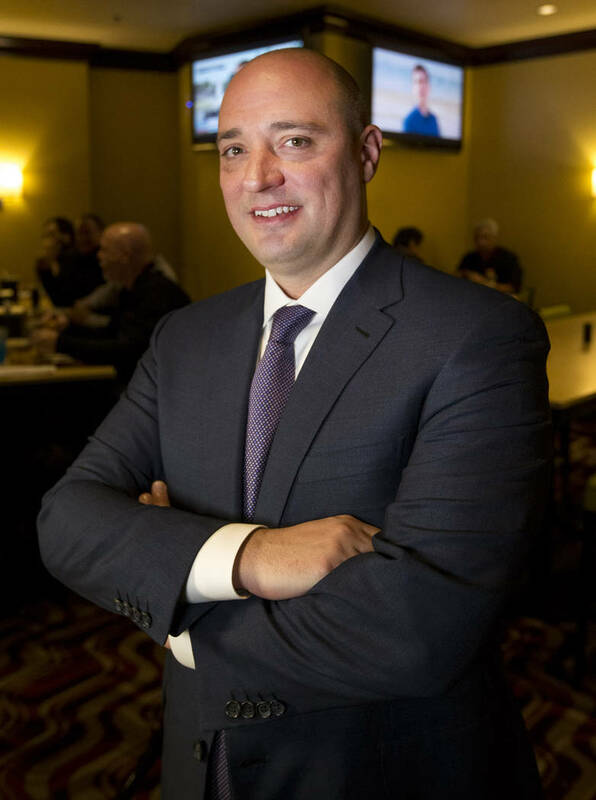 Maddox also has traveled to Japan on and off for the past eight years, establishing contacts in the company’s bid to become one of the first holders of a gaming license there, a process expected to progress to the end of this year.